The annual Kohl's Spring Rec tournament is Friday, May 10th & Saturday, May 11th at Uihlein Soccer Park. U7-U14 boys/coed and girls rec teams are encouraged to participate. No rec league games are scheduled this weekend so teams can register for the tournament without additional soccer conflicts. CLICK HERE to obtain more details on the tournament and a registration link. The last day to register is April 24. 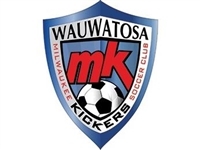 Coaches and Managers: If you are cancelling a league game, please email Kyle at KyleT@mksc.org to cancel the referees. To reschedule a Tosa home game, please contact Tm Winn at twinn2@wi.rr.com. For a Germantown home game, reach out to Paul Hammond at Paul.Hammond@bmo.com and for all other games, contact Jaclyn Theune (JaclynT@mksc.org or 414-375-1153) for game day options. To assist with creating new divisions each season, we would like scores to be updated. Please have a coach or manager enter the scores into the actual schedule by the end of the season. Need help - contact Dawn at 414-375-1152 or DawnU@mksc.org.